This includes everything you need to collect survey data, create reports, and visualize your wireless coverage. You just need a Windows laptop with a built-in or external USB wireless adapter. This is exactly the same as the VisiWave Site Survey product except it also includes the ability to perform predictive surveys. 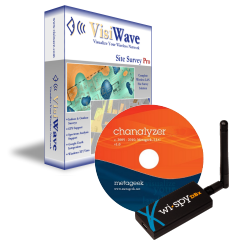 This bundle includes the VisiWave Site Survey Pro product plus a Wi-Spy DBx spectrum analyzer device and the Chanalyzer 5 spectrum analysis software which visualizes your real-time RF activity. The Wi-Spy DBx supports 2.4GHz and 5GHz 802.11a/b/g/n/ac frequency bands. 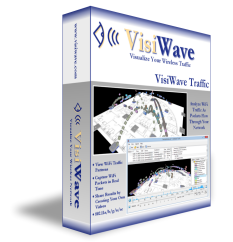 This bundle is the same as VisiWave Site Survey Combo DBx except it adds the Report Builder accessory to Chanalyzer. Report Builder lets you create spectrum analysis reports within the Chanalyzer software. 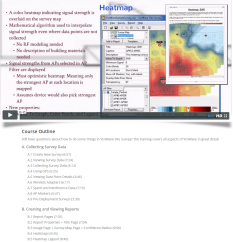 Detailed and comprehensive video training course. 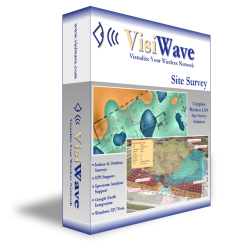 Learn all aspects of performing a site survey and creating survey reports using VisiWave Site Survey. Learn on your own schedule using this web-based training program. Access is valid for a single student for a full year. 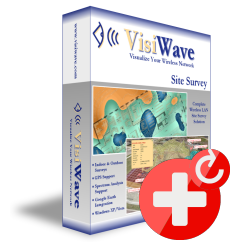 If you already own an earlier version of VisiWave Site Survey, upgrade your version to the latest. An updated registration code will be emailed after license verification. 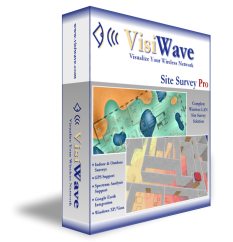 If you already own the latest base version of VisiWave Site Survey, this will upgrade you to VisiWave Site Survey Pro. An updated registration code will be emailed after license verification. NOTE: If you don't own the latest version, you will need to add this to your cart along with "Upgrade VisiWave to Latest Release" to properly upgrade to Pro. Standalone product to do deep analysis of WiFi network traffic and to capture wireless packets under Windows.